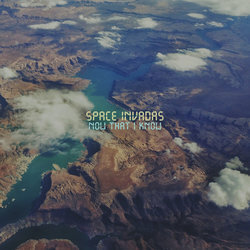 The accompanying video to 'Now That I Know' is a modern take on a traditional soul vibe, projecting Steve into a futuristic world of neon soul. While there, he explores the act of falling in love, and ponders whether it is worth the pain that ensues when the love is lost. With an orchestral backing, the song uplifts while maintaining a melancholy undertone. Steve's delivery perfectly captures a feeling of lost love, and harkens back to sounds of the duo's first collaboration, 'How Bout Us'. With its roots in the world of modern soul, Wild World touches on many other genres of contemporary music, especially hip hop. Featured album vocalists include MC’s Guilty Simpson and Remi along with soul vocalist Natalie Slade. Katalyst is Australian producer Ashley Anderson. His solo records, all nominated for ARIA Awards, have been released via his own Invada Records as well as Stones Throw. He runs the Invada label in Australia with Portishead's Geoff Barrow. Steve Spacek originates from London yet landed in Sydney via LA. He has worked with the likes of J Dilla, Mos Def, Slum Village, Common and many more and is likened to classic soul singers Curtis Mayfield and Marvin Gaye. 'Now That I Know' first found life in the hands of Giles Peterson. Upon hearing the new album, Peterson dubbed Wild World "a modern day soul classic", highlighted the single on high rotation on his BBC6 radio show, and featured it in many of his DJ sets across the globe.